Olivia: What does mental health mean to you? Hayley: I think that mental health is more than just the absence of mental illness. To me, mental health in the workplace means that the individual feels that they are well, and capable of performing their duties to the best of their abilities. I truly believe that employee mental well-being really means that employees are engaged in their work, and find their work rewarding and fulfilling. Olivia: What can organizations do to build resiliency in staff and support their employees when it comes to mental health? Hayley: In order to support employee mental health I think it is extremely important to ensure that mental health is always on the table. By that I mean, employees should always feel that they can approach their Supervisor or HR and have a candid conversation about mental health. Employees need to know that they are supported to access mental health resources, and that employee mental health is an organizational priority. Olivia: What capacities are being built at CASS to ensure mental health safety and security when burnout is such a huge risk in the human services field? Hayley: Burnout, especially things like “compassion fatigue” are a very real concern in the human services field. In response to this concern, CASS established a ‘Psychological Health and Safety Committee’. The PH&S Committee has representation from each program at CASS, and provides policy recommendations to the Senior Leadership Team. The PH&S Committee’s first order of business was to utilize the Guarding Minds at Work ‘Psychological Health and Safety in the Workplace Survey’ to gather an overall assessment of the organization and implement the Workplace Psychological Health and Safety Standard put out by the Mental Health Commission of Canada. This survey has been an exceptionally useful tool; the final report clearly breaks down areas of concern and offers strategies to address them. The PH&S Committee met to strategically address areas of concern and made recommendations to the Senior Leadership Team – including recommendations around ‘Mental Health Days’ and ‘Respectful Meeting Guidelines’. The Committee also meets regularly to address any ongoing concerns and to identify new ways that we can better support the well-being of CASS employees. At our last meeting the Committee had discussed the need for an employee support group, or employee resource group, and this is something we are currently exploring. As an organization, we are also incredibly lucky to have a very savvy HR team that consistently strives to ensure that all staff is aware of all available employee mental health resources. This is a real priority for our organization and we will continue to assess and develop mechanisms to ensure that all our employees are supported in their mental well-being. Olivia: How can forward thinking organizations move beyond campaigns and enact change at a policy level/encourage governments to place importance on mental health? Hayley: I think campaigns such as this week’s ‘#GETLOUD’ campaign are really beneficial for increasing awareness and creating an engaging conversation. However, that is a really great question about how we can transition from conversation/campaign to lasting policy change. I think individually organizations need to prioritize and adopt the ‘Psychological Health and Safety Standard’ in their workplaces. I think if organizations, insurance companies, and health providers are vocal that this is a policy and priority for them it will create pressure for a widespread implementation of the Psychological Health and Safety Standard. As always, I think it is important to remain vocal about mental health all year, not just during Mental Health Week or specific campaigns. Consistently engaging in a dialogue about mental health and advocating for better mental health resources is a responsibility that all of us need to share. 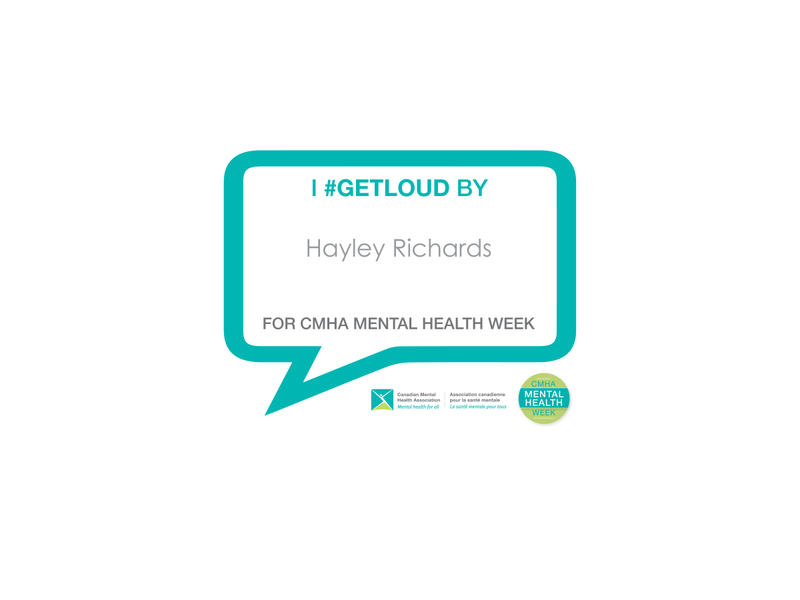 We encourage you to get involved in the ‘#GETLOUD’ CMHA Mental Health Week Campaign – resources can be found here. I have a background in mental health and have had the pleasure of working in several different human service capacities. 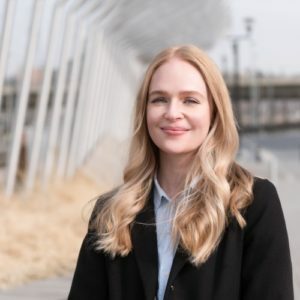 I am thrilled to continue to partner with other Calgarians to foster more inclusive communities through the areas of workplace psychological health, non-profit marketing and branding, and diversity recruitment and retention.